Mapou Yanga-Mbiwa has had some very poor games for Newcastle over the last fourteen months, and he plays a couple of games very solidly and then looks all at sea in his next game, and one of those dreadful performances was on Saturday in the first half, when he not only looked half asleep but played on Rickie Lambert for Southampton’s first gal, when it looked like a miracle was going to happen, and Newcastle could have gone in 0-0 at the break after being completely pummeled in that first half at St. Mary’s. It’s being reported that Alan Pardew now has some serious doubts about whether Mapou can make the grade at Newcastle as a Premier League player, and it could even be that he is sold in the summer. Mapou has been taken off twice this season at half time – at Everton and then last Saturday at Southampton, and in both games our defense had been ripped apart, with Mapou putting in a very poor performance. Mapou has never been a good header of the ball, and along with his poor positional play and the dangerous habit of putting in some wild tackles in and around the penalty box, he can be a liability and could even be on his way this summer. The difficulty Newcastle have is how they get their money back on the player, as Newcastle paid a decent £6.5M for him fourteen months ago when he arrived from Montpellier. There’s been some interest from France in the player, with Lille and his former club Montpellier showing some interest, but neither club have much money available. And with Ben Arfa’s future looking very doubtful there could even be a mass exodus from Newcastle in the summer. Mapou Yanga-Mbiwa could be one of those players, and then 70 year-old Montpellier Chairman Lou Nicollin could be right that he may want to return to his former club. Nicollin had said that Newcastle was a terrible choice for his captain, when he was signed in January of last year. Ben Arfa has looked AWFUL since August. This season the only times he’s he’s ever even looked a little effective is when he’s brought on fresh at 80 mins or so against a tired team. And even then mostly he’s done literally nothing positive. No idea what’s happened to the lad but no chance I’d start him or play him up front. We might as well play with 10 men. 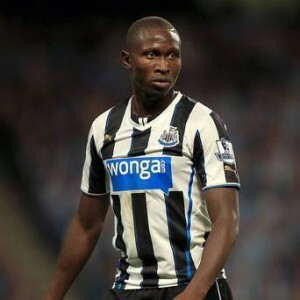 Saying that though if we play De Jong, Ameobi and Cisse as well it’d be like playing with 7! And even then hes done literally nothing positive??? When he has come on as sub even in the recent games he has created a good few opportunities and even set up a goal more than what any other player had done for the full 90 what are you smoking!!! I am not saying he should be starting up front but i do think we need to start him when Remy is out as we have absolutely nothing else offensively and at least teams panic when he gets the ball. Stop playing him at RB then al. You can tell just by looking at the lads body language he doesn’t like playing there. And honestly the lad only plays one game on one game off, dunno how he’s supposed to adapt to the league when he only starts sporadically. Honestly everyone knows colo is off this summer, give mbiwa some games at CB and see what he can do with an extended run in the side, nowt to play for at the end of the day. In Mapou’s defence, Pardew had previously said he wants to play him left centre back, as he is more comfortable on the left. He also isn’t a natural full back. Let’s face it, it hardly improved after he went off either did it, and he was part of our best defensive spell of the season when he and Willo were paired at centre half. MBiwa should be sold get rid of this clown we need two solid cbs who are physical and solid. Lovren has been a class buy for Southampton we need a player like that. Yanga M’biwa is not a right back. It’s as simple as that, the kid has been made a scapegoat of. He captained Montpellier; 80/1 outsiders, to the French League title and came here for Premier League experience and to improve his skills. He was shaky at first but then had a solid run of games until he was dropped, and now everytime he’s being played at RB. I honestly feel for the lad. I may be wrong, but haven’t the games where he’s played “solidly”, been when he has had a run of games in his preferred position? Then the he “looks lost at sea” games are when he’s been thrown back in to the defense and at times out of position? MBiwa has shown, that when given a run of games, in his correct position, with Willo alongside him, he can do the business. I know he’s performed a few too many howlers, but I’d be disappointed to see this player go tbh. It seems most of us are on the same page on this issue then. On Ben Arfa, most people know that I don’t rate him highly as a player, and in normal circumstances wouldn’t have him in the starting 11, but at the minute surely there is no option but to play him. Whilst he is inconsistent, frustrating, selfish and unable to play for the team most of the time, he does offer at least a small possibility of creating a chance. Of the rest of the squad, there is very little evidence of people being able to do that, so surely he must play? Definitely not up front though. I am all for giving players chances like i did when enrique was shocking but at least you could see he had good attributes to play that position. Mbiwa has pace and that is all his positioning is the worst i have seen on par with staylor he cant head the ball or compete against anyone strong he makes rash decisions. Ok he has pace but apart from that i cant see what he brings to the team?? Lil…When Debuchy and Remy play (and before when we had Cabaye), we had the luxury of not having to play our luxury player, Benny. I agree with you, whilst he may not help the balance of the team, we desperately need some creativity as we just don’t look like scoring without him. We have nothing to lose at this stage, give him a run until the end of the season. It wasn’t the clubs decision not to make Distin permanent, it was the fact he was offered more at Man City, and was promised a centre back slot there whereas he had been used a lot as a full back while with us. The club tried to sign him, but he turned us down. I will play a defensive side and formation and keep it tight then maybe we can nick one with a Cisse wonder goal or maybe even a set piece. Well Pardew let me tell youy Cisse is the worst st i have seen in the prem for a long time and we must be the worst set piece side both in terms of delivery and players attacking the ball in all the leagues of England. …and I have some serious doubt Alan Pardew can make the grade! Feel for Mapou as he’s not really had a fair run at centreback! He was playing well when given a chance there and was dropped the moment an out of form coloccini was fit again. To be honest, something’s gotta give with our defence… We hear Williamson has had a great season, and coloccini is world class, if these were true then why have we shipped so many goals? It’s not as if the midfield and forwards are on all out attack, the opposite in fact! Like you say, minus Remy and Debuchy we are really lacking in creativity. If they were both fit, I wouldn’t play HBA, but with just one or neither available surely he has to play? Regarding the manure game, when has a Newcastle v manure game never been on TV? Could it be because the media and footballing world as a whole despise us now? Other clubs hate us for the way we negotiate, showing no respect and the media for banning alot of their kin, reporters, local newspapers and trying to sell them access again a lack of respect? When we had Distin Man City was in the Championship surely we could have competed with them when they got promoted?? If Pardew wants to play he, then change tactics! Lil…I wouldn’t go as far as saying “surely”. This is Newcastle and Pardew we’re dealing with here. I guess that was Pardews thinking last week, but he pulled him off at HT so that little experiment may well be over and we probably have reverted to “keep it tight for 70 minutes and then give Hatem a chance to steal the 3 points” philosophy that we all love so much. On Ben Arfa, he plays in a team where he has to be selfish. Who creates for him ? Half the time people watch him as he skins 3 players, and is he gets a chance to shoot, he’ll shoot. He’s never part of a team goal because players don’t have the quality to link up with him, he has to do everything on his own, so if he shoots a lot, can you really blame him ? He must be sick of people sitting & staring at him do all the hard work. Average or could it be that both sides are now playing for nothing and so the game is not a big draw anymore?????? Jay why a GK? Surely krul and Elliot are good enough and we need extra quality elsewhere as a priority?? Yes that could be a possibility but how many times have we been on sky sports or BT sport all season for that matter? Jesper…It’s worth a go. Let’s get Pardew a for sale sign for our next game. If I remember rightly it was the promise of being a centre back that swayed him mainly. But do people now watch him because they have lost faith in him actually playing the ball to them. Very demoralising if you keep making runs and the player continually fails to play the ball and runs into blind alleys, or blazes wildly over. I’d say it is a combination of that, and players lacking interest in the rest of the season. This isn’t the first time that Hatem has failed to get a regular starting place in a side. Better managers than Pardew have failed to get any sort of consistency from his undoubted natural ability. Pardew should be fired simply for his handling of Yanga Mbiwa – utterly scandalous. MYM already proved he can do it at CB and was looking great with Willo but gets dropped for bloody Colo and then we start shipping goals for fun – no coincidence! Those writing MYM off…. didn’t you also write-off Debuchy last year…..??? Just a question, is Gouffran the new Jonas? The guy seems undroppable despite doing nothing for the last 8 games. Come’on Pard, give Marveaux a chance. On Ben Arfa, he works much less in training than others, avoids team weeks away and team bonding days. In France they say Ben Arfa only plays for himself and if he scored a beautiful goal and the team lost 1-5 he’d go home happy. He needs confidence and the freedom to do what he does best! ATTACK! Tbh, he was never inconsistent when he was younger, he just had a horrible attitude. That affected him, but I don’t think it was his ability. He was brilliant to watch when he was younger, he was a lot more lightweight and he was just brilliant. Now he’s lost the attitude, other factors have held him back, very annoying. It’s the same as Zarate, same situatiom, although he’s been on fire for Velez. Argentinian League though. Lovren has actually been poor. Two of my good friends from my time living in London are big Saints fans, they don’t rate him, not in the way that other people do at least. Mapou has all the potential. He’s not a RB. I’m not a Pardew hater, I’ve stuck with for so long now, ignoring the stick he gets from everyone simply cause I know he’s between a rock and a fat cnut. But things like this, where he ruins players momentum and development by either not playing them, or playing them out of position… It can’t go on like this! He is making very clear and obvious errors. We all know it. Poor kids at our club. They’ll never make it, not for a lack if effort or desire.